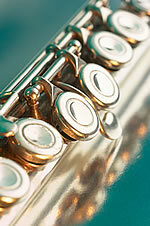 An alternative to buying a new instrument is to buy a second hand instrument. Although you can save some money you still need to know what you are doing or you could end up buying something which is not in good condition. Second hand musical instruments can be bought from many instrument shops, online shops, small ads in the local newspaper or from Ebay. Apart from the local instrument shops you may find it difficult to see the instrument straight away, it is therefore important to arrange to view it if you can, which should definitely be possible with a small ad. A musical instrument sold online through a shop or Ebay will require further work. For Ebay instruments if the location of the seller is local, ask if it is possible to view the item so that you can ascertain the condition of the instrument before you put a bid in. Otherwise, ask as many questions about its condition as you can so that you can build up as much knowledge as possible about that item. Make sure there are no knocks or dents as this can affect its resale value. It is also worth checking out any paperwork that the seller might have,this may help you decide whether it has been looked after well. 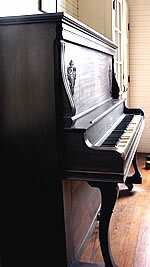 For example a piano should be tuned once a year to keep it in good order. If you are not sure about a piano, a piano tuner will probably agree to look at the piano and give you his opinion. Auction houses often sell pianos, which can be viewed but very often not played. The surveyor will have been looking at it from a furniture/antique view. Most pianos at auction need some technical work done on them, so remember to figure this into your price range. Woodwind and Brass instruments can be awkward to buy second hand. Most advice tends towards buying a new instrument as some damage on these instruments can be very hard to find. Another option is to visit your local instrument repair place and seek their advice, the likelihood is that they would have fixed many instruments and they may well have a good circle of contacts.